Laminate flooring has come a long way from the obvious-looking imitation wood product it was when it first came out. With advanced printing techniques and the latest technologies used in its manufacturing, today's laminate is a durable, affordable and beautiful flooring. To get the best laminate flooring for your Edmonton lifestyle, there are five things you can't forget and need to keep in mind. 1. Quality laminate has thick boards. When purchasing laminate flooring for your Edmonton home, you want to be sure to buy a quality brand product that will hold up to traffic well. The thicker the laminate, the more realistic the laminate will look and it will stay looking beautiful longer. 2. 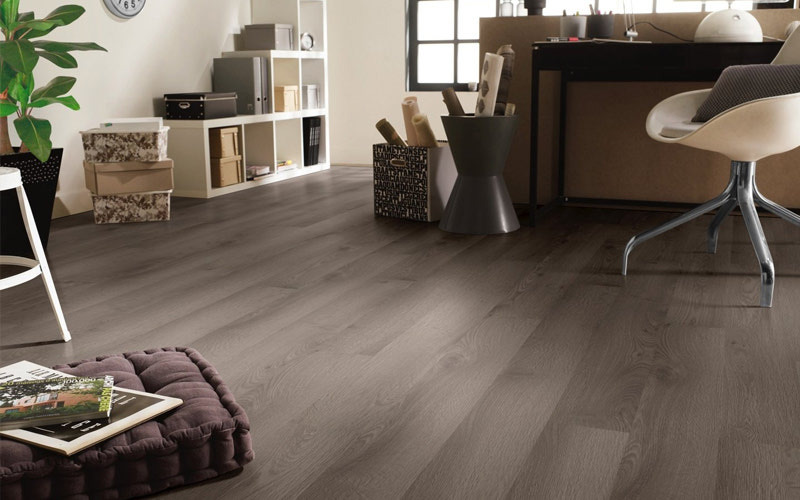 Know your goals for the space you are installing your laminate flooring. Are you hoping to make a small room look larger and more open or do you want to cozy up a large space? The colours and installation pattern you choose can change the entire look and feel of your space. For example, wider planks and lighter colours help make small rooms appear larger and brighter. 3. Consider the type of traffic that your floor will endure. Laminate flooring is tough enough to withstand any Edmonton lifestyle, but there are some choices that can help make maintenance easier for you. If you're installing your laminate in an area that is prone to having dirt tracked in, you might want to opt for a darker colour. While you should clean up any spills or dirt quickly to avoid damaging your floor, dirt won't show as much against a dark laminate flooring. If you have pets or you're worried about dust, you might want to go with a light colour of laminate. 4. Pay attention to the rooms around the space where your laminate is going. If the room where your new laminate is being installed opens to other rooms, pay attention to the type and colour of the flooring in the other spaces. Make sure your colours won't clash, but will accent or blend well with the surrounding rooms. Better yet, install new laminate throughout! 5. Ask about the warranty and conditions. When you invest in quality laminate flooring for your Edmonton home, it will be highly resistant to staining and wear, but it's still a good idea to find out about the warranty offered. Be sure that your plans for installation are covered in the warranty. At Action Flooring, we can help you choose the best laminate flooring for your Edmonton home that will suit your lifestyle and design taste perfectly. You can even speak to one of our design experts to help you create the perfect room with the perfect laminate flooring. Contact us today or stop in to see the wide variety of choices available.